Time to Replace Your Double Glazed Windows in Edgware? 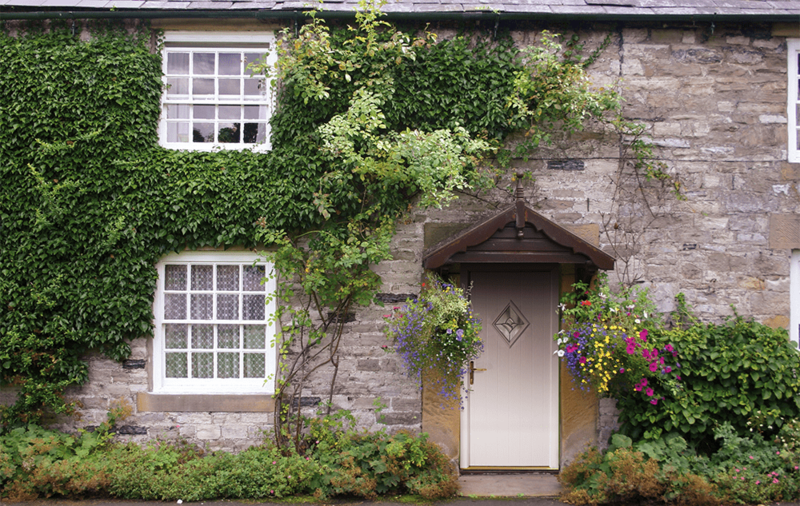 As double glazed windows age, they no longer offer your home the benefits they once did. Perhaps they have become weak and brittle, perhaps they let in draughts, perhaps they are simply dated and unable to provide the efficiency of modern innovation. New double glazed windows can change all this. They will make your Edgware home more energy efficient, more secure, and they will enhance its appearance, adding a beautiful aesthetic. Here at Concept Windows, we offer a beautiful range of double glazed windows to our Edgware customers, ensuring that whatever type of property you have, we can match it with the perfect replacement window. Whether your home is modern or traditional, our double glazed windows will enhance its character and its aesthetic, making it a wonderful place once more. Read on to discover the benefits and features of new double glazed windows for your Edgware home. Our double glazed windows in Edgware are created from the state of the art Eurocell system. This superior design features the latest technology in the double glazing industry, ensuring your new windows achieve the highest performance standards. When it comes to security, any opening in your home needs to offer exceptional protection, and our Eurocell windows are superb. They have a built in high security system that provides maximum protection against potential intruders. With these stunning double glazed windows, you can have complete peace of mind that your home and your family are safe and secure. Much like being secure, another central function of new double glazed windows is that they are thermally efficient. Our state of the art uPVC windows feature Pilkington Glass, ensuring they are crafted from the very best materials. This combination of technology means that our double glazed windows are capable of achieving a Windows Energy Rating of an outstanding A+10. This simply amazing performance ensures that your home will be cosy and warm no matter how cold it is outside. Heat loss will be absolutely minimised too, which will help with your energy costs, as where warmth is so well retained, you will find you need to use less heating to stay comfortable. Our double glazed windows in Edgware are exceptional when it comes to thermal performance, making them a much sought after home improvement. When you choose Concept Windows for your new double glazed windows, you will benefit from a wide selection of options to help you find the perfect match for your Edgware home. Our windows come in a variety of colour finishes, from standard, fresh white, to classical dark green to modern brilliant blue. You can even opt for a natural wood effect to replicate the style of timber. When you choose your double glazed windows, we also offer stunning decorative glazing, ideal for subtle individuality in your double glazing and for adding more privacy. You can also select the perfect hardware and accessories from our stylish range. Every double glazed window we install in Edgware is specifically tailored to your requirements and your tastes. 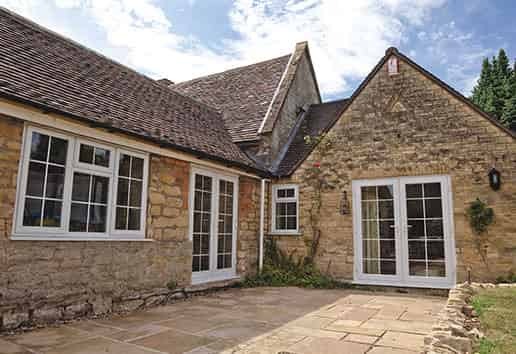 Beautifully designed to offer a minimalist appearance that blends in with modern homes and traditional properties alike, our stunning casement windows are cost effective and incredibly popular. For maximum functionality combined with stylish aesthetics, our tilt and turn windows are the perfect choice. They are great for high rise properties and upper floors, as they provide safe and secure ventilation as well as easy access to the outer pane. Our sliding sash windows are a true combination of period design and modern technology. 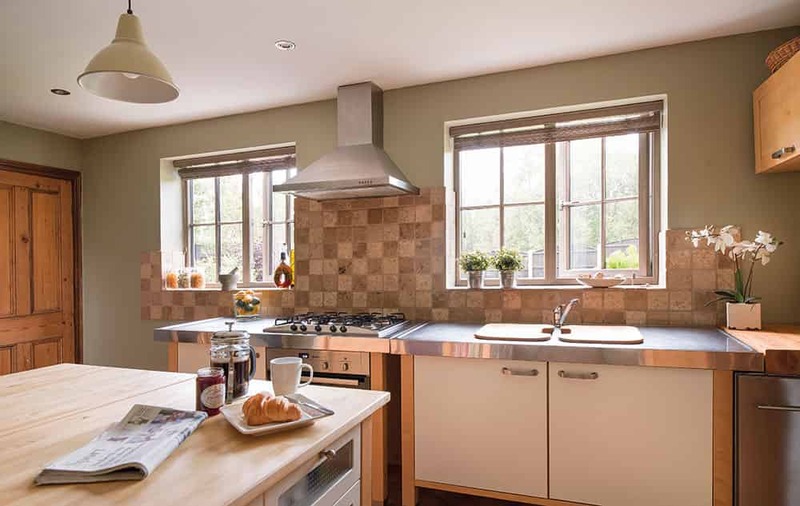 These stunning double glazed windows are superb for heritage homes, enhancing traditional features, yet they benefit from the latest innovations and can even come with a tilt function for ease of use. Our exceptional bow and bay windows are a superb option for homes where a feeling of spaciousness is required. They protrude from your property, maximising the natural light coming into your home and creating bright and airy living spaces. Double glazed windows prices in Edgware from Concept Windows are superb. We offer our customers exceptional value for money and our hard wearing and durable windows make for a great property investment. You can create your dream double glazed windows online in just a few simple steps, and get a tailored quote with our clever system. Or, get in touch for more information on our fantastic double glazed windows in Edgware. Need Affordable Double Glazing Prices in Essex? Double glazing prices in Essex need not break the bank. In fact they can be a great investment, offering superb value for money. Concept Windows are a double glazing installation specialist based in Essex and we offer fantastic double glazing prices. Whether you opt for uPVC windows and doors or our aluminium doors, you will benefit from a range of double glazing prices that are tailored to your budget. Our windows and doors are capable of saving you money in the long term too, making your home improvements a cost effective option. Read on to discover more about double glazing prices in Essex and the exceptional value you can get from choosing Concept Windows for your home improvements. Double glazing prices in Essex are never more affordable than when you opt for uPVC windows and doors. But, that doesn’t mean you lose out on quality and performance. Our uPVC windows and doors are from Eurocell, the state of the art manufacturers that are popular across the UK. This means that your double glazing prices include such features as exceptional security technology and outstanding, money saving thermal performance. Our Eurocell windows and doors are fitted with high security Yale locking mechanisms to ensure your home and family are fully protected against even the most determined would be intruders. This is all included in our standard double glazing prices! In addition to this, our windows and doors all feature the very latest innovations in double glazing to ensure maximum thermal performance. They are capable of an incredible Windows Energy Rating of A+10. This is simply amazing and will make your home more cost effective. With such superior energy efficiency, your home will stay warmer for longer, which means you will need to use less heating, and as such, will benefit from lower energy costs. Just one of the many reasons why our affordable double glazing prices make such a great long term investment for your home. When it comes to choosing your double glazing, the products you select and the customisation you prefer will change your personal quote. This means that our double glazing prices can be adapted to suit all budgets. You can opt for stylish, yet minimalist windows and doors, finished in our standard fresh and beautiful white uPVC for minimal costs, or you can opt for high end speciality designs tailored in a stunning colour finish or woodgrain foil with decorative glazing and tailored hardware for luxury. Simply pick and choose from the options available until you have created the perfect double glazing to meet your budget and your tastes. With our range of windows and doors, there is so much choice, and our prices are so competitive, you are sure to be pleased with the style and value for money that we offer. Aluminium double glazing is renowned for its high quality and impressively long lasting performance. 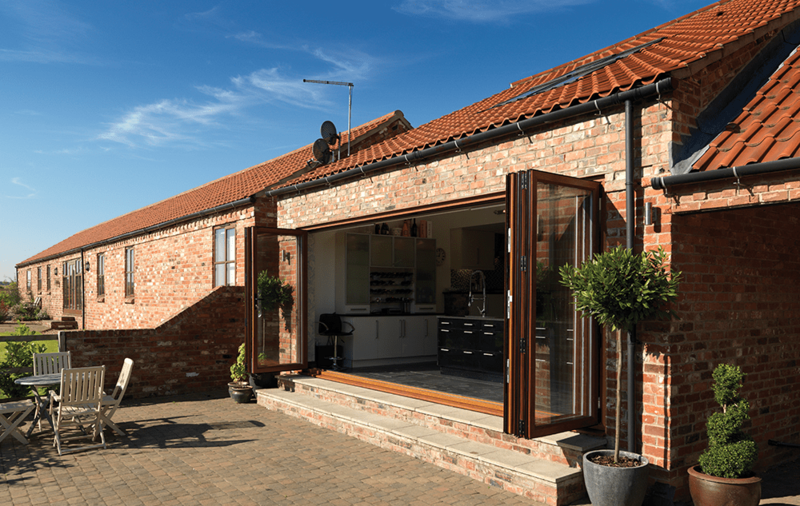 Our Smart Architectural Aluminium bi-fold doors are a hard working, yet beautiful alternative to uPVC. The double glazing prices for our aluminium doors in Essex are superb, and the bi-fold doors we offer are designed to last up to 20 years, making these products truly cost effective. 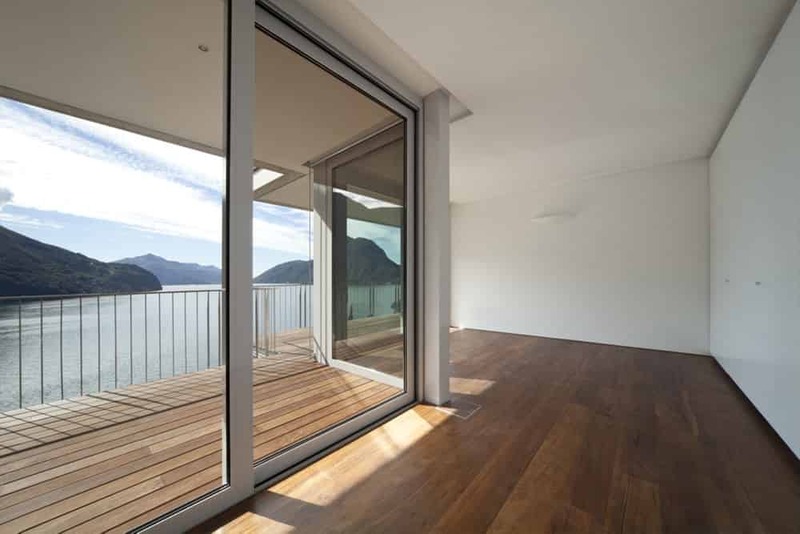 They offer fantastic thermal performance, thanks to a polyamide seal, and superior glazing. Our aluminium doors can be double glazed for a low U value of 1.7, or triple glazed for an incredible U value of 1.5. Either way, you will benefit from complete protection against the cold, and you could even find that your property’s EPC rating is enhanced, making your home more valuable to potential buyers should you ever wish to sell. Aluminium double glazing is also the ultimate option for security. 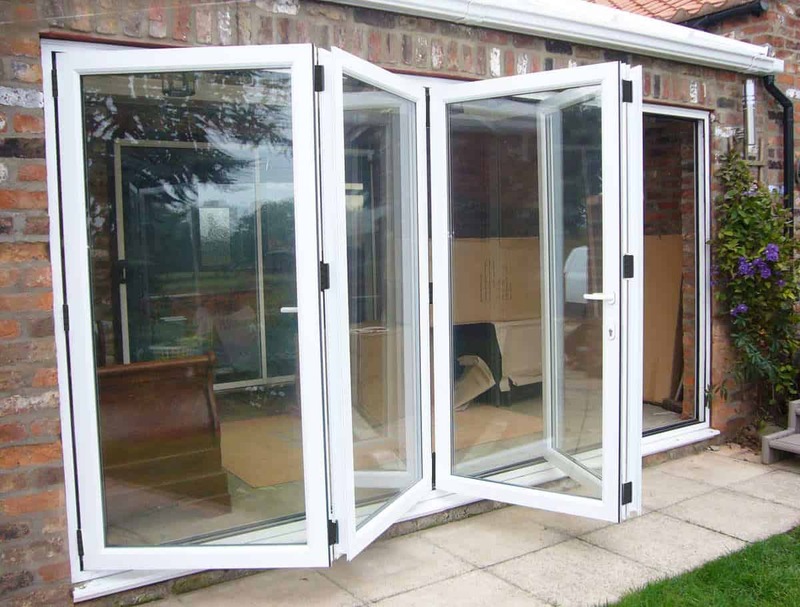 Our double glazing prices include the state of the art locking mechanisms, and with aluminium doors, you can count on a robust and durable door that is almost impenetrable. Aluminium being naturally strong and sturdy gives you the benefit of ultra slim profiles, enhancing your views and creating streamlined beauty. You can choose from a vast range of colour finishes too, giving you the perfect match for your Essex property. Our aluminium doors are bespoke to your home and the space you have, making our double glazing prices specific to your Essex home improvements. Double glazing prices in Essex are exceptional when you come to Concept Windows for your home improvements. Visit our online calculators for a tailored quote, or contact us and we will be happy to help you find your perfect double glazing prices in Essex. New uPVC doors are a fantastic option for your Brentwood home improvements. Not only will they transform the appearance of your property, giving it a fresh new look, but they will also enhance its performance. Our uPVC doors are fantastic. They are high performance and they offer a long term, cost effective double glazing solution for your property. You will benefit from incredible energy efficiency, weather protection and security, making your Brentwood home more comfortable and secure. Here at Concept Windows, we specialise in high quality double glazing, and our uPVC doors are one of our most popular installations. Read our guide to uPVC doors in Brentwood to see how you could benefit from these amazing home improvements. Old and tired uPVC doors can be weak and inefficient, making your home colder and unsecured. Our uPVC doors will change all that in an instant. They are manufactured by Eurocell to the highest standards and incorporate the very latest technology and innovations in double glazing. You will benefit from superior weather protection, ensuring that your home is warm and dry no matter how harsh the winter storms are. We all know that the British weather is turbulent and that your home can be battered with torrential rain, gale force winds and bitter cold, but our uPVC doors will stand up to all of it. They are incredibly durable and robust, they won’t even warp, rot or fade, no matter what the elements provide! The uPVC doors we install in Brentwood are also fantastic for thermal performance. Eurocell doors are superb, with excellent insulation and cutting edge designs to ensure maximum energy efficiency. Your home will be warmer for longer with our uPVC doors, which will ultimately save you money on your energy bills, as you will use less heating. This makes our uPVC doors a brilliantly cost effective investment for your Brentwood property. Of course, with any uPVC door, the main function is to protect you against intruders, and the Eurocell profile excels in this area. The super strong profile is amazing, and able to withstand any physical attack. In addition to this, our uPVC doors are fitted with state of the art, high security locking mechanisms. Your new doors are precision engineered to protect you and your family from even the most determined potential intruders. Whether you are looking for a modern folding door, or a classical front door, or any other entrance to your Brentwood home, we are sure to have a uPVC door to meet your needs. Our stylish uPVC doors are superb choice for any area in your property, and they are all completely customisable to reflect your personality and your property’s style. With Eurocell uPVC doors, you can choose from a range of lovely colour finishes and natural woodgrain foils, enabling you to blend your new door in with the rest of your double glazing. You can also choose from our impressive variety of decorative glazing for unique style and privacy. Finish your doors with your own choice of hardware and accessories from our extensive range and you can be certain that the new uPVC doors we install are the perfect match for your home in every way. The perfect combination of beauty and performance, composite doors offer the aesthetic of timber combined with the technology of uPVC. Available in a wide range of designs, our uPVC doors are ideal as front doors or back doors in your Brentwood home. Enjoy safe ventilation and country charm with our impressive uPVC stable doors, ideal for adding character to any property. Our uPVC French doors are an elegant choice for your home improvements, giving you easy access to the outdoors and a stylish aesthetic. These stunning uPVC patio doors will give you extensive views through the large panes of glass, and flood your home with natural light, all with cutting edge technology to ensure exceptional operation. Our exquisite uPVC bi-fold doors will transform the way you experience your Brentwood home, giving you seamless access to the outdoors and a stunning feature wall of glass. Our doors price in Brentwood are exceptional, offering you incredible value for money for your home improvements. Here at Concept Windows we offer highly competitive prices to all our clients. Find out the costs for your dream doors with our online quoting engine, or contact our expert team who will help you to find the perfect doors for your tastes and budget. New uPVC windows will completely refresh your Brentwood home both in style and performance. Old and tired windows are poor when it comes to thermal performance and security, letting heat escape your property. With new uPVC windows, you will benefit from the very latest technology and innovations to ensure that your home is kept warm, cosy and safe, saving you money and giving you peace of mind. Here at Concept Windows we pride ourselves on offering high quality uPVC windows and expert installation to our Brentwood customers. We are here to help you every step of the way with your home improvements. 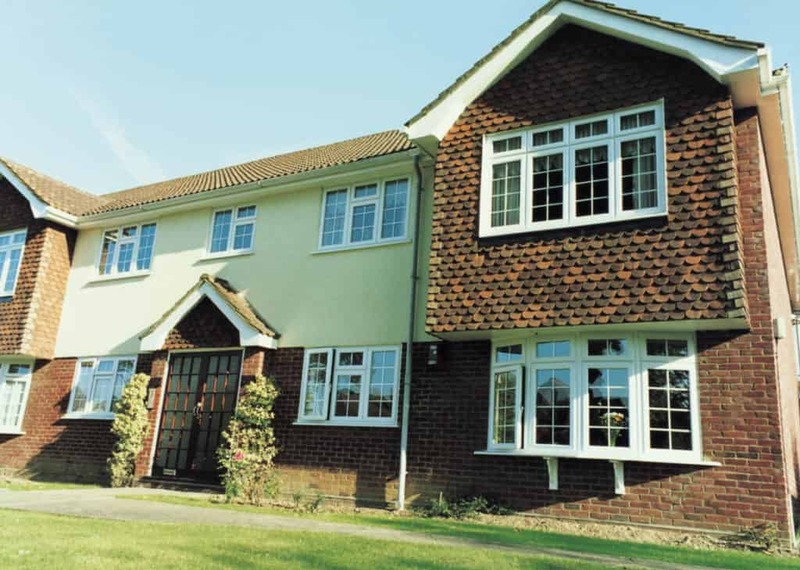 Whether you have a traditional property or something more modern, we have uPVC windows for you. Read on to find out more. 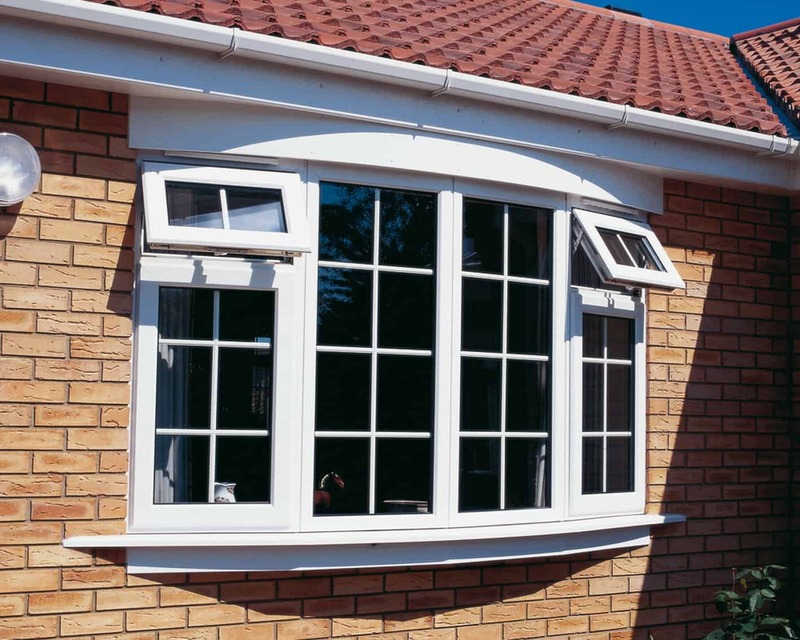 Choosing uPVC windows for your Brentwood home improvements ensures that you get the very best performance for your property, but it also means you get a pleasing aesthetic that complements your property. Our uPVC windows can be tailored to reflect your tastes and enhance the character of your home. Choose from lovely, classical colour finishes or natural looking woodgrain foils as an alternative to white uPVC. You can also opt for decorative glazing to add privacy and individuality to your new windows. We even have a range of hardware and accessories for you to choose from, including Georgian bars, leaded glass or decorative beading. With uPVC windows from Concept Windows, every detail is considered in the design. Traditional yet so stylish, they also complement modern homes, these wonderful uPVC casement windows are versatile and popular. They have a slim profile and can be adapted to reflect old-style charm or modern minimalism. These incredible uPVC tilt and turn windows are an excellent choice for hard to reach areas such as upper floors and high rise properties. They offer a superb combination of streamlined beauty and functional safety features, making them ideal for families too. uPVC sliding sash windows are a beautiful addition to any period style property, enhancing the traditional features and complementing the character and charm. They blend the 19th Century design with modern technology to create a superb window. 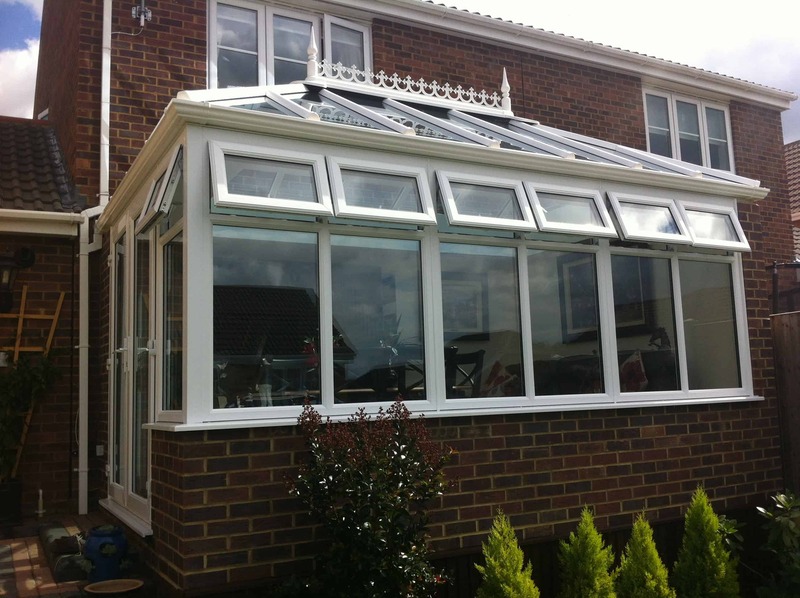 To really transform your Brentwood home, these uPVC bow and bay windows are ideal. They create a feeling of spaciousness and add warmth to your room by flooding it with natural light. They can be customised to reflect a heritage style or a sleek, contemporary aesthetic. One of the major functions of uPVC windows is to keep the elements outside and ensure heat remains inside your Brentwood property. 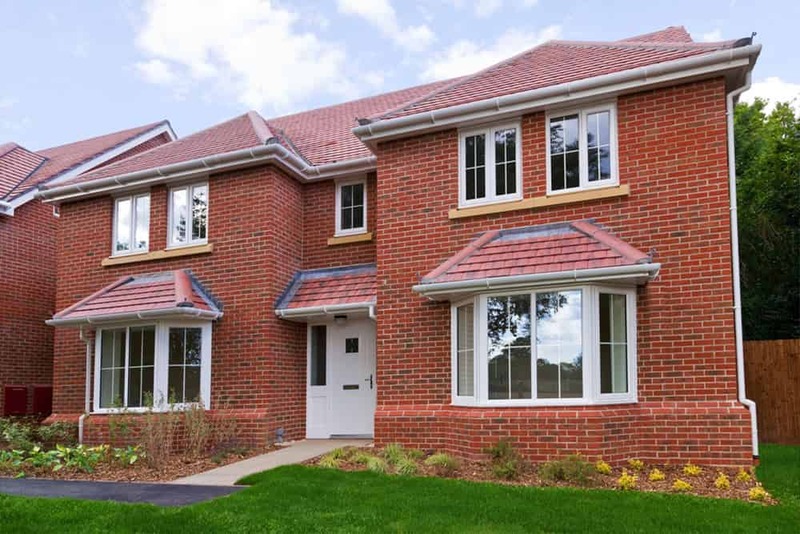 We work with Eurocell, a market leading manufacturer, to provide uPVC windows that offer outstanding thermal performance. The Eurocell uPVC window design features a range of cutting edge technology to ensure that it performs at the most impressive levels, in line with Building Regulations requirements. Our uPVC windows are impressively insulating, and feature concealed gaskets for ultimate protection from the weather. 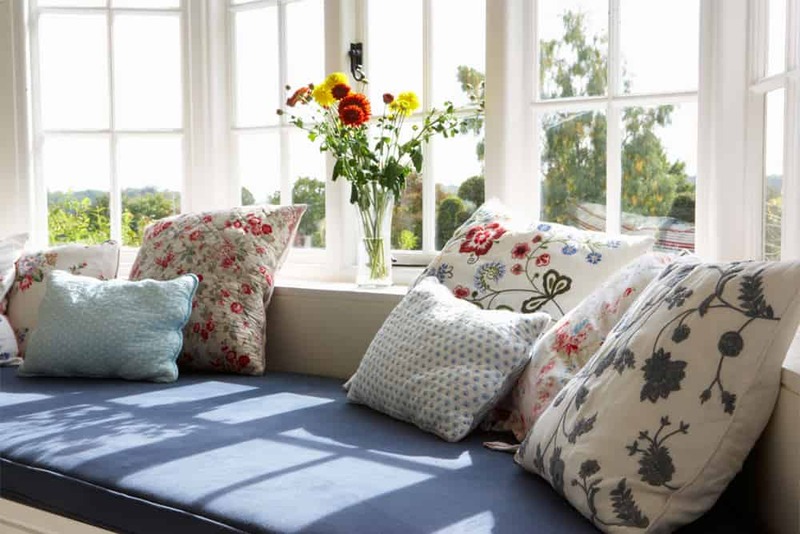 You will find that your home is warmer and more comfortable when you opt to have our uPVC windows installed. uPVC windows are ideal for protecting your Brentwood home. The Eurocell collection that we offer to our clients is superb for security. Every window profile is exceptionally strong, making it capable of withstanding physical attacks and keeping you and your family safe. In addition to this, when we create your new uPVC windows, we will fit them with state of the art, high security locking mechanisms as standard. With our fantastic uPVC windows, you can be sure that your Brentwood home and family are protected from any potential intruders. With windows in Brentwood from Concept Windows, you will benefit from high performance that has been created with precision engineering. This means that it will last for many years to come, keeping your home efficient and secure. The benefit of the Eurocell uPVC profile, is that it is excellent for durability, and in fact, requires very little maintenance to keep it in perfect condition. All you will ever need to do, is give it the occasional clean, and that is all there is to it! Our prices are exceptional. We keep them low to ensure that you benefit from the very best value for money. Get your tailored quote from our online quote generator, or contact us and we will help you find the perfect uPVC windows for your Brentwood home improvements and your budget. Double glazed doors make a fantastic choice for your Hornchurch home improvements, as they will enhance every aspect of your property. From the efficiency, to the security and the style, the entrances to your home will be stunning. Our double glazed doors come in a variety of options. Ideal for back doors, front doors and sliding doors. 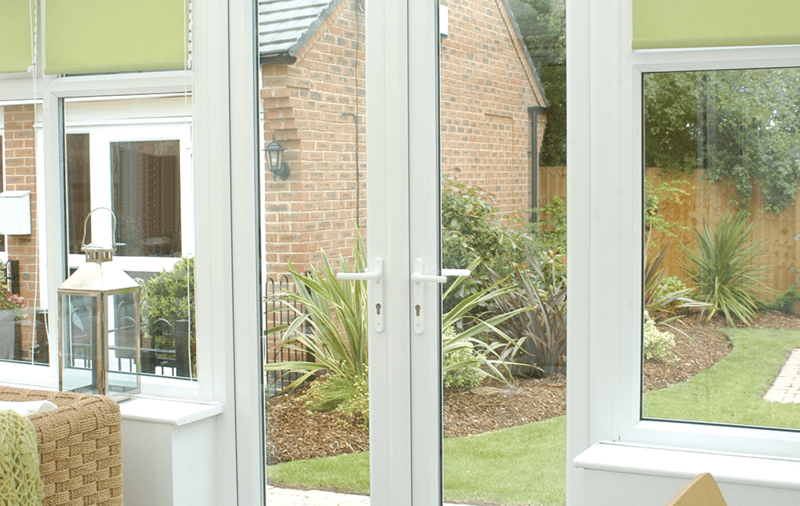 Wherever you need an opening to the outdoors, we have the perfect double glazed door to suit. Here at Concept Windows, we specialise in high quality double glazed doors that are manufactured by industry leading companies, to ensure that you benefit from the most exceptional installations. Read our guide to double glazed doors in Hornchurch to find out more. Double Glazed Doors in Hornchurch – The Choice is Yours! With double glazed doors from Concept Windows, there is a variety of options for you to choose from. We offer uPVC doors and aluminium doors to ensure you have a great range of styles and can select the perfect match for your home. Our composite doors are great for durability and long term performance. They are simply stunning, as they have an authentic timber appearance that will enhance the character of any home. However, these double glazed doors also feature the technology that you would associate with uPVC. They are superb for energy efficiency, as the solid core with a durable skin makes them highly insulating. In fact, they are up to six times more insulating than wooden doors, ideal for keeping your home cosy and warm. In addition to this, they are designed to be exceptionally secure, providing you with the very best protection against potential intruders. These double glazed doors are almost unbreakable, which is great for keeping unwanted visitors out. We then fit them with state of the art locking systems, keeping you and your family safe and secure. Composite doors are wonderful for long lasting performance too, as they will give you year after year of excellent operation, and all you will ever need to do is keep them clean. They come in a range of colour finishes, ensuring that you can have a front door that is welcoming, stylish and customised to your tastes too. Double glazed doors in Hornchurch are never more popular than our stunning uPVC collection of doors. This impressive range comes in many styles, so you can create a tailored look that not only matches your front door and back doors, but also your uPVC windows too. Our Eurocell uPVC doors feature the very latest developments in double glazing, so you will benefit from outstanding thermal performance. They are one of the most energy efficient options in the industry, and will help you to lower your energy costs as they keep your home warmer for longer, so you need less heating. Our uPVC doors are also fantastic for security. Incorporating hidden strengthening technology, they are impressively strong, and this is coupled with our high security locks. With our uPVC doors, you can be confident that your home is safe and secure. When it comes to style, there are so many options to choose from. As with all our double glazed doors, you will benefit from a range of colour finishes and door furniture to tailor the look of your door. Our uPVC doors also have the option of natural woodgrain foils too, enabling you to have a more traditional look for your home. Adding an element of sheer luxury to your Hornchurch home is so easy with our impressive aluminium bi-fold doors. Created by the market leading manufacturer, Smart Architectural Aluminium, these double glazed doors truly excel in all areas. They use cutting edge design to ensure that they achieve incredible levels of energy efficiency, making them a much sought after home improvement throughout Hornchurch. They are also superb when it comes to security, thanks in part to the inherent strength of aluminium as well as our fantastic locking mechanisms. All this and you also benefit from exquisite customisation choices. Our aluminium bi-fold doors are available in an extensive range of colour finishes. Every shade you can imagine is sure to be included in our RAL palette, making them ideal for truly personalised home improvements. 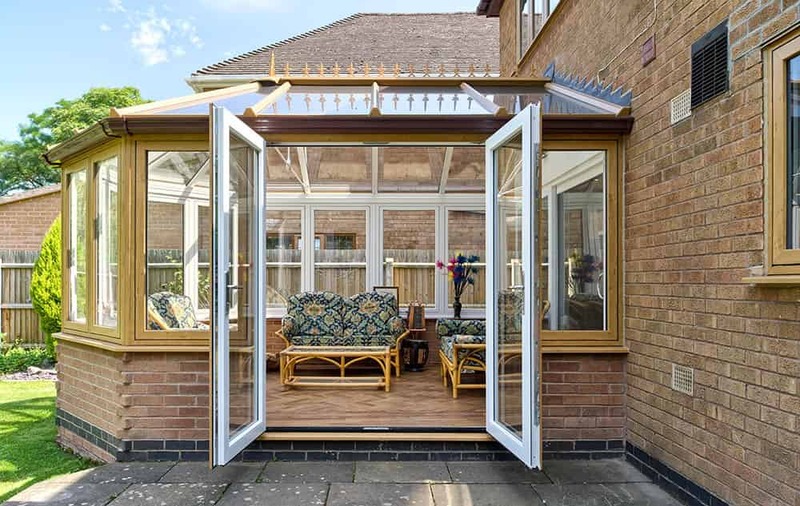 With aluminium bi-fold doors, your Hornchurch home will never be the same again, as these doors will simply transform it, making it a much more enjoyable space with a seamless access to the outside. For double glazed doors prices in Hornchurch, you can visit our online door designer and create doors that are the perfect match for your home and your budget. If you prefer, you can talk to us and we will help you to find the ideal double glazed doors and prices for your Hornchurch home. 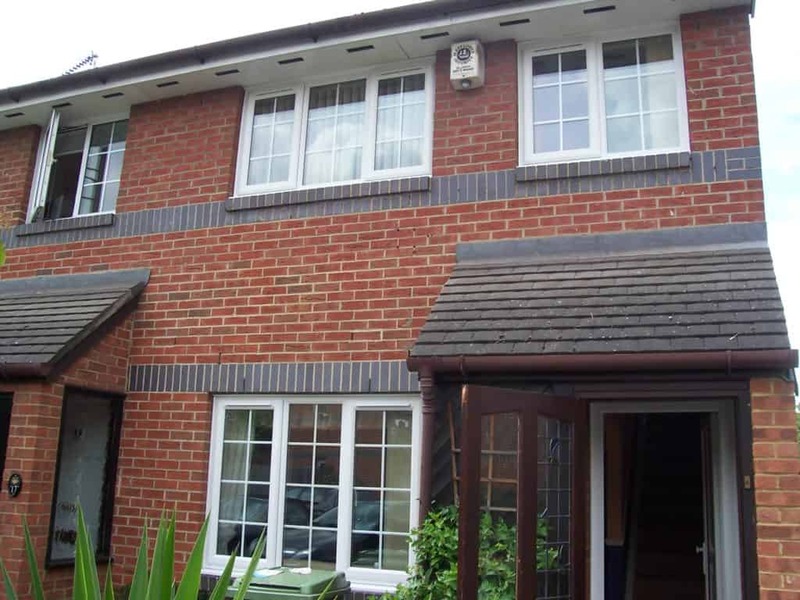 Double glazing is a much sought after home improvement in Hornchurch, mainly due to the improvements it can make to your home. If your double glazing is old and tires, it might not be performing as well as it once did, nor looking as good. Choosing replacement double glazing gives you the opportunity to experience superior energy efficiency, excellent security and contemporary design that will complement your property’s aesthetic. Our range of double glazing is extensive, giving you so much choice, allowing you to find the perfect match for your property in Hornchurch. 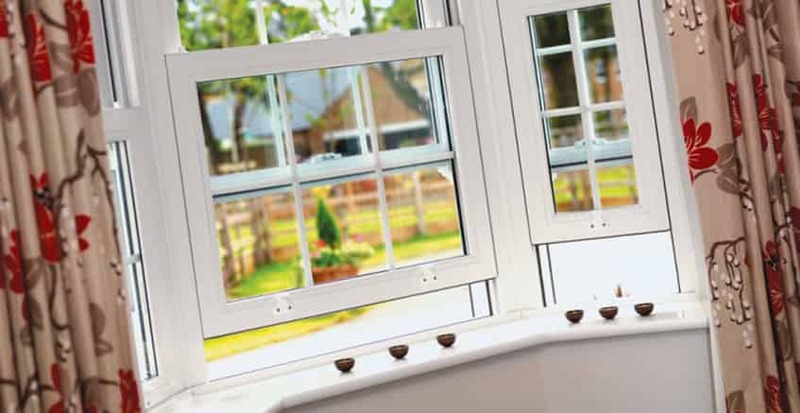 Read on to find out the benefits and features of getting new double glazing in Hornchurch from Concept Windows. Finding the right double glazing for your Hornchurch home means considering all sorts of aspects. One of the most important is the appearance of your property and choosing the perfect design to complement its look. Our range of double glazing is extensive, and every window and door can be tailored to meet your needs and provide you with the style you want. Choose from a fantastic range of colour finishes, which includes our authentic and sophisticated woodgrain foils. We also offer stunning decorative glazing, as well as hardware and accessories to complete the look of your new double glazing. We even offer a range of double glazing styles, to help you find a look that complements the features of your property. Take a look at our summaries below for inspiration! 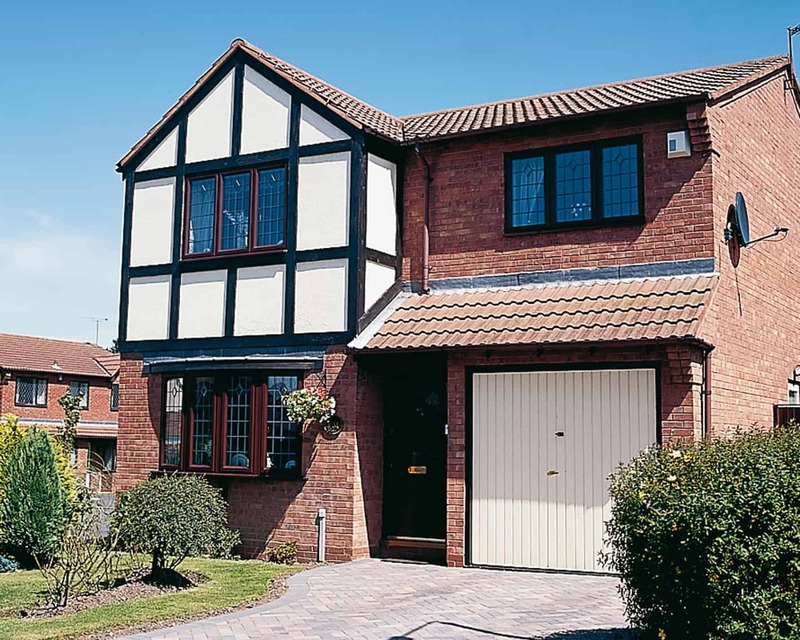 Timeless and stylish, these stunning uPVC windows suit all types of property, enabling you to achieve a beautiful finish to your Hornchurch home. Our uPVC tilt and turn windows are the ideal double glazing choice for upper floors and hard to reach areas, such as high rise properties. They have a lovely appearance combined with great functionality. Double glazing doesn’t come much more characterful than our uPVC sliding sash windows. 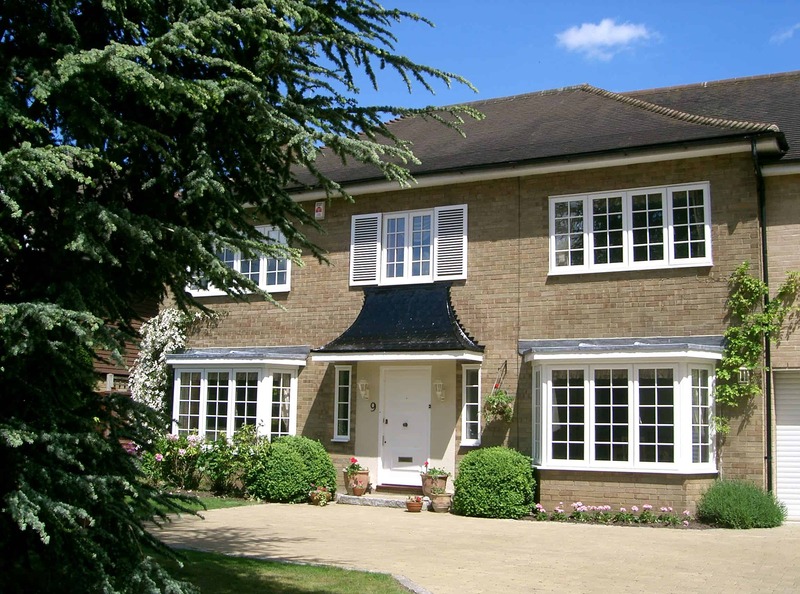 These beautiful windows will add charm and classical style to any Hornchurch home. 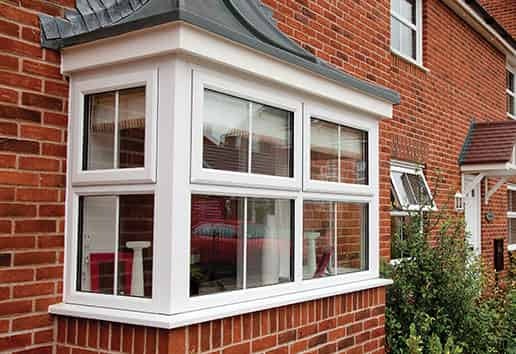 For a spacious feeling and improved natural light, our versatile uPVC bow and bay windows can enhance any Hornchurch property, whether period or modern. Stylish uPVC doors are available in a wide range of panel designs, making them completely adaptable to suit both the front of your home or the back. 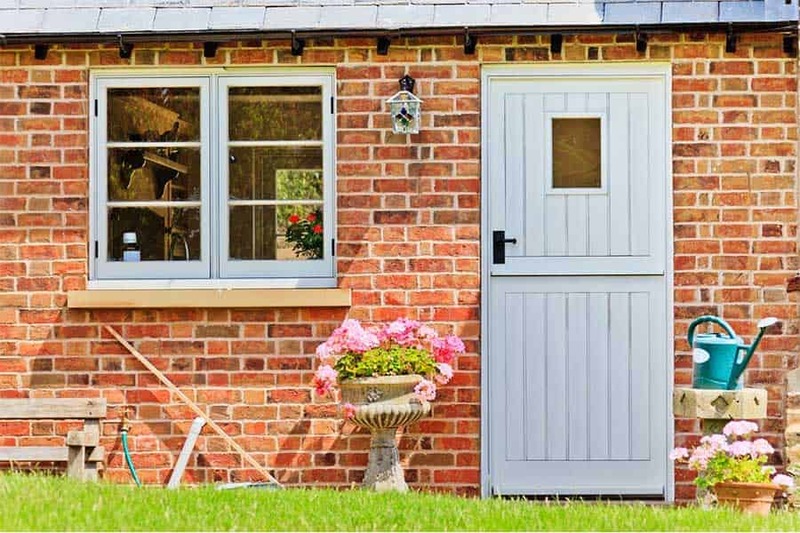 Practical, yet charming, our uPVC stable doors create a country cottage feel for your home while still providing the benefits of modern design innovations. 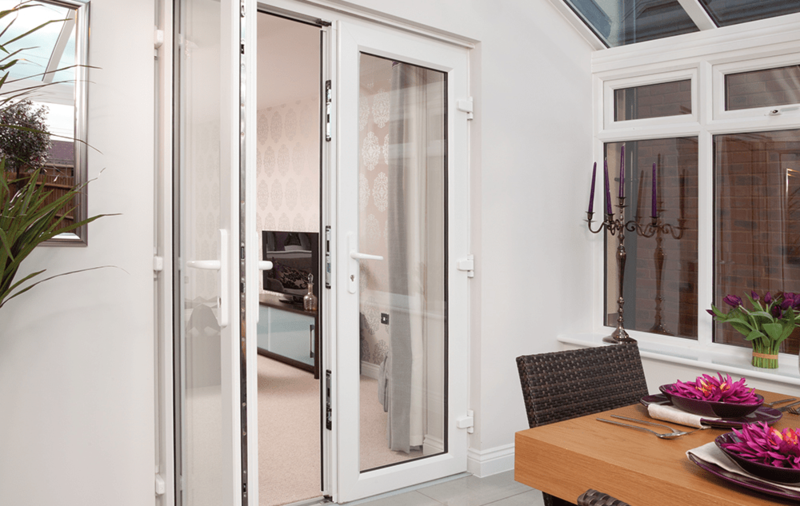 For the ultimate in elegance and sophistication, our uPVC French doors are the perfect choice. Ideal for opening into gardens or onto balconies, they have a versatile design, and are perfect for any Hornchurch home. Traditional design is brought into the 21st Century with our fantastic uPVC patio doors. Enjoy unrivalled views and superb accessibility. Exquisite design ensures that our uPVC bi-fold doors create a feature in your Hornchurch home that will impress your guests and introduce you to a whole new living experience. Our state of the art composite doors offer a stunning timber-effect appearance combined with unrivalled all round performance. These impressive doors are a great choice for any Hornchurch home. Our double glazing range comes from Eurocell, meaning that you benefit from the most cutting edge innovations in the industry. 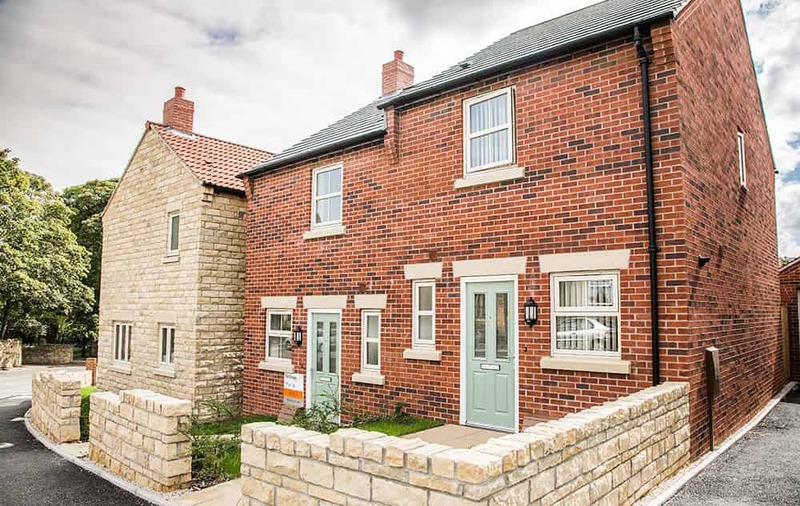 All of our windows and doors offers impressive energy efficiency, with our uPVC windows even capable of achieving a Windows Energy Rating of A+10. This superb thermal performance means that when you choose high quality products from Concept, you will benefit from superb protection against the cold winter days. In addition to this, all our double glazing is high security. The Eurocell design maximises the potential of the uPVC profiles to ensure they are strong and robust. We then ensure every window and door is fitted with state of the art locking mechanisms for superb security. You can be confident that your Hornchurch home and family are protected when you choose our double glazed windows and doors. You can get more information on any of our double glazing products by exploring our website, or simply getting in touch . Our friendly team are happy to help with all your requirements and will listen to your thoughts and ideas to find you your perfect double glazing. Home improvements needn’t be costly in Hornchurch either, our double glazing prices are exceptional. We even offer instant online double glazing quotes that are tailored to your specifications so that you can see just how competitive our double glazing prices are for your Hornchurch home improvements. uPVC doors are one of the most versatile options for your Hornchurch home when it comes to design. They come in so many styles that they will be perfect for any entrance in your property. Perhaps you need a new front door, replacement back door, or a sliding door to open your home to your garden outside, whatever requirements you have, here at Concept, we are sure to have a uPVC door that meets your needs. Our uPVC doors are also superb when it comes to security and efficiency, making them a great, all round choice for enhancing your Hornchurch property. Read on to find out more! uPVC doors make a great choice for security in Hornchurch. They are cleverly reinforced to provide excellent strength and stability, making them exceptionally tough. On top of this, all our uPVC doors are fitted with the most incredible locking systems. These locks are crafted to offer high security on any entrance in your home, and they are created using state of the art design too, to ensure they will truly protect you. Your home and family in Hornchurch will be safe and secure when you choose your uPVC doors from Concept. Energy efficiency is a priority with all double glazing, and with uPVC doors, you need to be confident that they perform. Our uPVC doors are created with cutting edge technology and the latest double glazing innovations to ensure that they offer outstanding thermal performance. 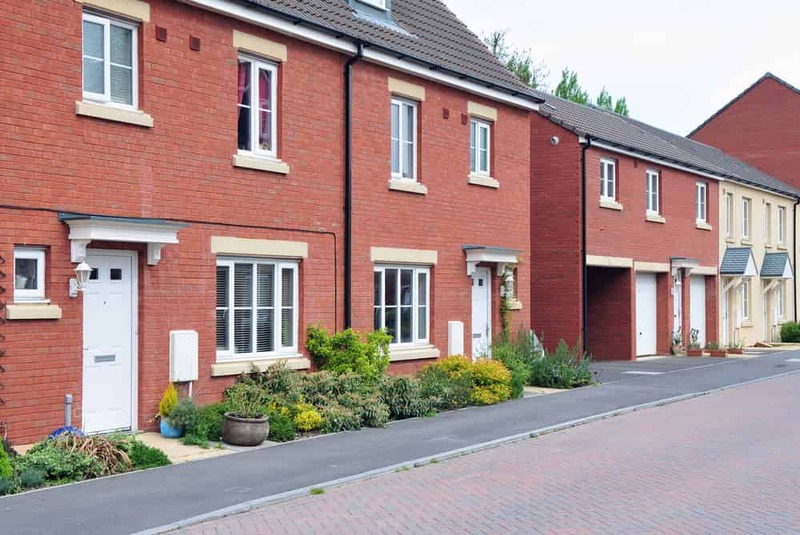 Our complete range has been precision engineered to meet the most impressive standards, achieving Building Regulations requirements and in some cases, exceeding them. Your home will be kept warm on even the coldest of days, and with our uPVC doors, you might even find that you save money on your energy bills as you need to use less heating. uPVC doors are a long term, cost effective choice for your Hornchurch home improvements. Choosing uPVC doors opens up your options to a whole wealth of designs. Our uPVC doors are tailored to your specific tastes with a range of colour finishes and woodgrain foils. We offer great decorative glazing, ideal for if you want a truly personal look, or simply some additional privacy in your home. In addition to this, we also provide a range of accessories and hardware options for you to choose from, so that the uPVC door we install is perfect for you and truly complements your home. Our uPVC doors come in a range of styles. Take a look at the summaries of your options below. Perfect as either front doors or back doors, our uPVC doors are a dream choice. They come in a range of panel designs, giving you traditional and contemporary options, and they are efficiently installed into your home, creating the minimum amount of disruption to your daily life. uPVC stable doors are a lovely addition to any home. They have country charm in their design, and they will add so much character to your Hornchurch property. They are a brilliant choice if you have a young family or pets, as you can access safe ventilation with ease. Our stunning uPVC French doors from Eurocell are perfectly designed to provide a stylish and elegant entrance in your home. They are versatile, so are perfect for opening out into your garden or even onto your balcony. They offer outstanding levels of sophistication whilst letting the natural light pour through them, brightening any room in which they are installed. These timeless doors are one of the most popular home improvements in Hornchurch. 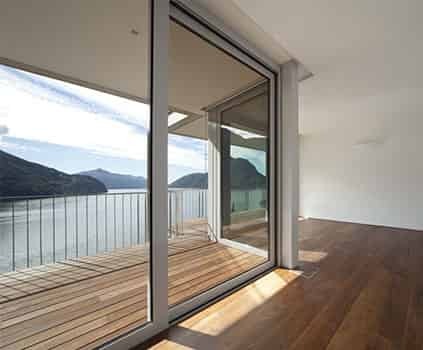 They have an easy glide system, and unlike traditional patio doors, they are fantastically secure and highly energy efficient. Your home will benefit from superior views through the extensive glazed area, as well as easy access to the outdoors. 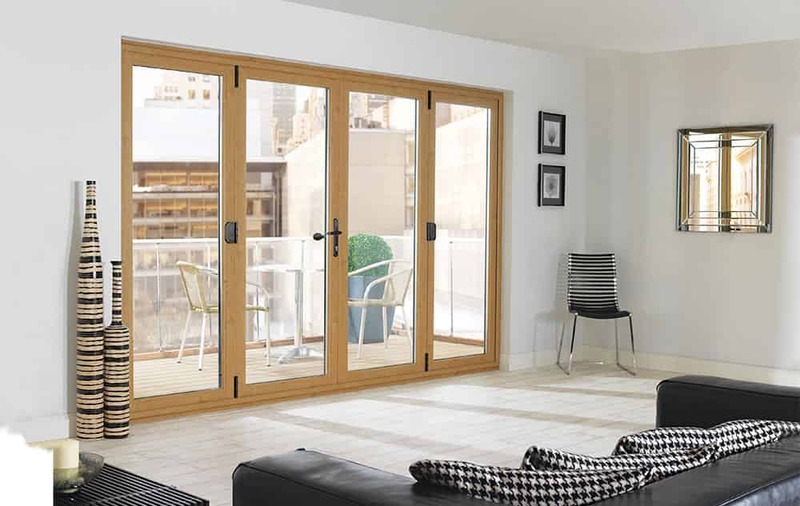 For an eye catching feature in your home, our uPVC bi-fold doors are the pinnacle of door design. 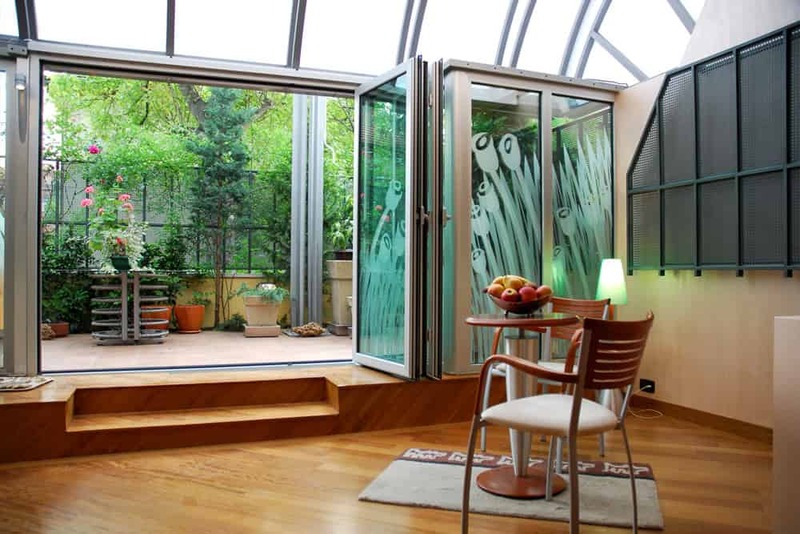 They offer an exquisite entrance to your outside space that creates an incredible and seamless connection between the indoors and the outdoors. 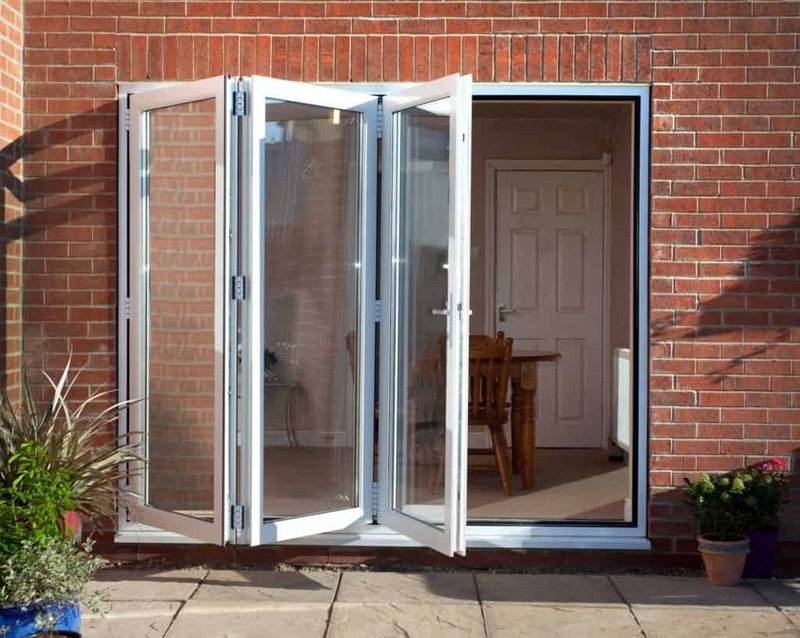 You can open up your home to the beauty of your garden with a uPVC folding door. uPVC doors in Hornchurch are such a popular home improvement, and Concept are one of the most highly regarded local installers. We offer fantastic customer service, perfect installations and competitive prices. Find out more by getting in touch with our helpful and knowledgeable team, or even take a look at our online quoting engine where you can create your perfect uPVC door. Our uPVC door prices in Hornchurch offer impressive value for money, so speak to us today and get your home improvements started. Hornchurch, Upminster, Southend, Gidea Park, Elm Park, Rainham, Brentwood, Chadwell Heath, Chelmsford, Billericay, Enfield, Ilford, Barking, Ongar, Chafford Hundred, Collier Row and Thurrock. Edgware, Borehamwood, Mill Hill, Barnet, Bushy, Burnt Oak, Colindale, Wembley, Harrow and Greater London.